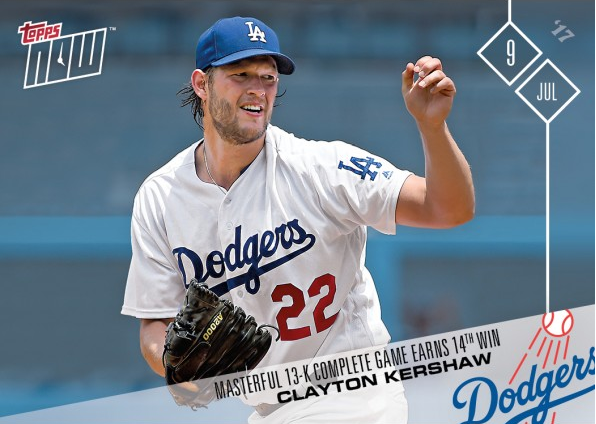 "He was Claytonesque," said manager Dave Roberts, noting that Kershaw has "synched" up the loose ends in his last four starts (two earned runs in 29 innings). Go here to check it out and order. 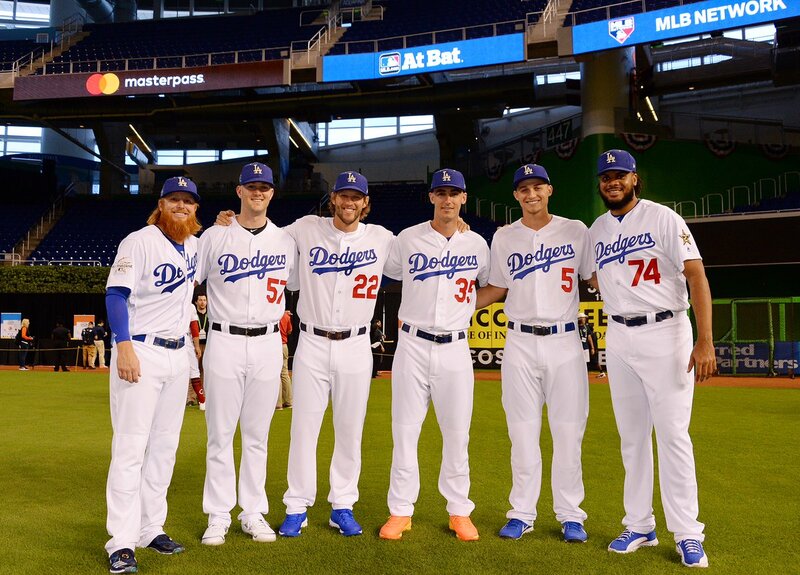 BTW, to the right is a pic of the boys in Miami, tweeted out by the Dodgers. Below is what is written on the reverse. 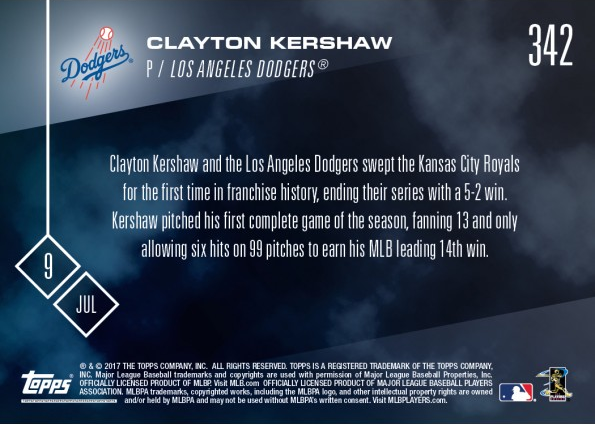 Clayton Kershaw and the Los Angeles Dodgers swept the Kansas City Royals for the first time in franchise history, ending their series with a 5-2 win. Kershaw pitched his first complete game of the season, fanning 13 and only allowing six hits on 99 pitches to earn his MLB leading 14th win. UPDATE: The total print run for the Kershaw card is 401 copies.